Mikhail Matiushin (1861-1934), a Russian composer and painter, studied physiology of human senses and developed his own concept of the fourth dimension connecting visual and musical arts, a theory that he put to practice in the classrooms of Leningrad Workshop of SVOMAS and GINKhUK (1918–1934) and summarized in his work 1932 Spravochnik po tsvetu [Colour Handbook]. “In Leningrad in the 1920s intensive colour research was made at GINKhUK “State Institute of Artistic Culture” where Kazimir Malevich was headmaster. In the ‘laboratories’ of form and colour a foundation for a union of art, science and practical application was developed. The ‘Department of Organic Culture’ was supervised by Matiushin. By some miracle or oversight, Matiushin’s Colour Handbook passed censorship. Four hundred copies were published in Moscow and Leningrad in 1932, the same year that the Central Committee of the Communist Party took measures to centralise all art organisations. With Marxist-Leninist materialism as the only accepted method, Matiushin was obliged to express himself in terms of physics, physiology and chemical processes in the body in order to be politically accepted. The fundamental concepts of Matiushin’s theory were ‘Organic Culture’ and ‘Spatial Realism’, which were also the names of the workshops he supervised as a ‘red professor’. Here Matiushin developed a training programme together with his students, including yoga, meditation and various exercises conceived to ‘create and develop the artist’. These new physical possibilities of perception were called ‘extended’ or ‘amplified vision’ which did not only include the eyes, but was expanded to involve hearing, tactility, and thinking – in short, a kind of conscious synaesthesia. With a panoramic visual angle of 360° producing a new spatial reality of the fourth dimension, colours would emerge more intensely than in our normal, physical world. With untrained eyes a stone, for example, would seem ‘dead’, immobile, static. In the fourth dimension, however, it should be possible to see the low frequency waves of solid materials such as stones and minerals. With cars at one speed, people at another, trees growing at yet a third speed, to the untrained eye, the world seems scattered and fragmented. For those who could apply the extended vision however, the whole world would, from an ontological perspective, appear completely different, with all links and connections organically unified. The Handbook is illustrated with thirty, handmade colour charts, each of them showing a combination of three different colours. Perception of the interconnection between colours was stressed rather than individual colours in isolation. 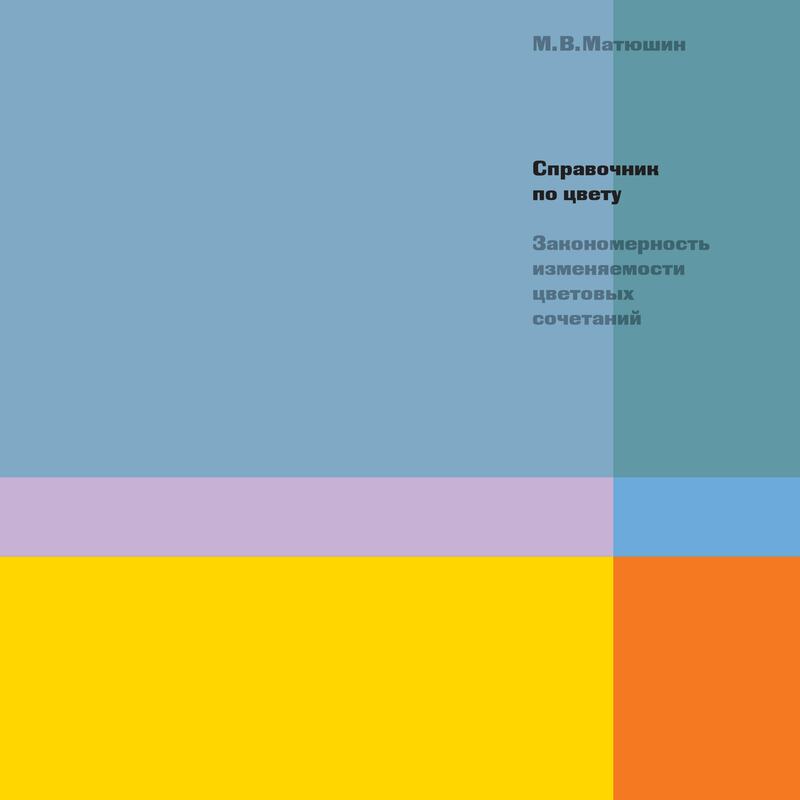 An English translation under the title “The Laws Governing the Variability of Colour Combinations: Colour Manual” appeared in Margareta Tillberg’s book Coloured Universe and the Russian Avant-Garde. Matiushin on Colour Vision in Stalin’s Russia, 1932, Stockholm University, 2003, pp 345-376. Commentary: Bulat Galeyev (Leonardo, 2005).